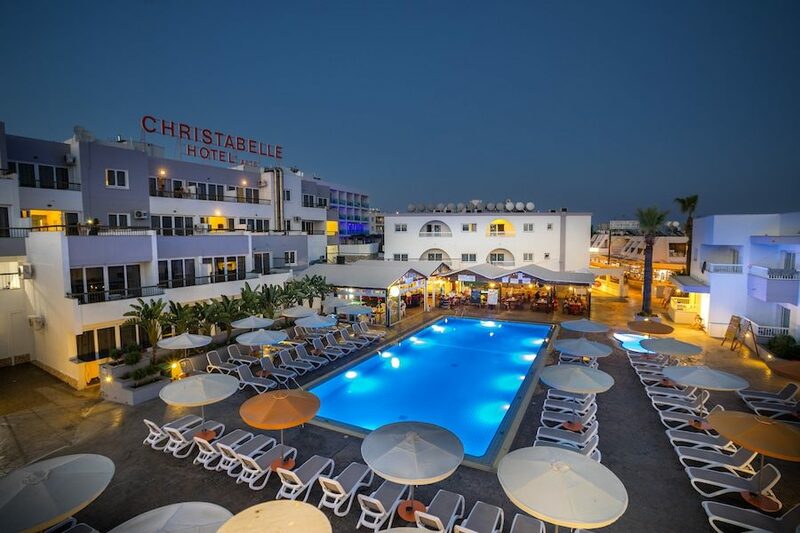 Surrounded by lush palm trees and traditional-style Cypriot buildings, Christabelle Hotel Apartments are just footsteps from the vibrant resort centre of Ayia Napa. The soft sands of Katsarka Beach are a short walk away and its well-equipped guest accommodation, attractive on-site facilities, and pool bar, make this the perfect place to stay. Summer days here are spent chilling out by the outdoor pool area as you sip cooling cocktails. The kids can splash in their own pool while teenagers get to compete with each other at video games. Challenge the family to a game of billiards or rest under a parasol to read your favourite book. Keeping in touch is easy; the complex has complimentary Wi-Fi access. Following a long day in the sunshine, return to your bright and stylish guest apartment to unwind and appreciate the home-style amenities. 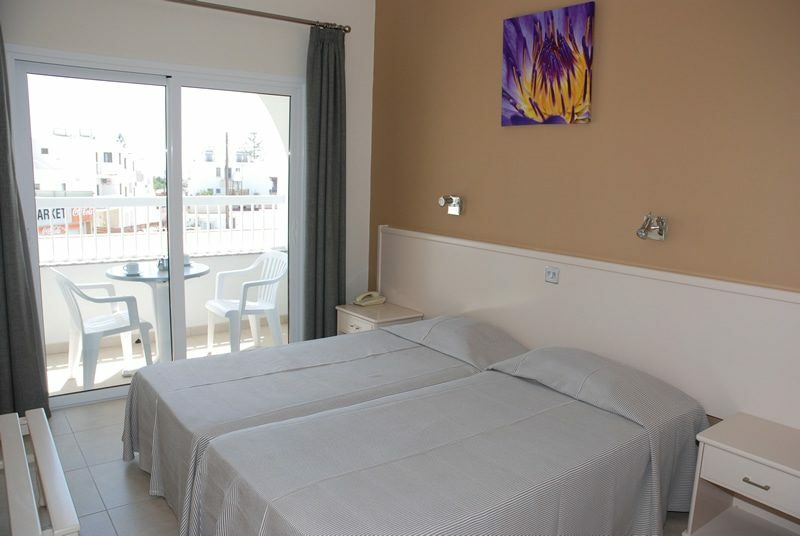 Relax on the comfortable twin beds and switch on the satellite TV to watch the news or a movie in the evening. Step onto your balcony with a drink in hand and take in the picturesque views. You'll never go hungry or thirsty at this holiday complex; the poolside snack bar is well-stocked with delicious food options at mealtimes, as well as a generous host of drinks to keep you cool in the heat. Your apartment has a useful kitchenette which is ideal for preparing a snack or meal if you become peckish between meals. 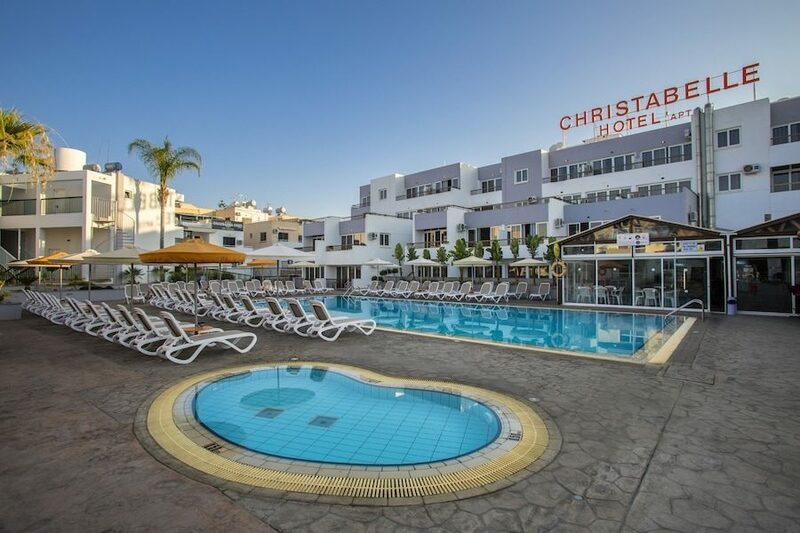 Discover why Christabelle Hotel Apartments are a popular place to stay for Cyprus holidays. Christabelle Hotel Apartments offer plentiful facilities, including: an outdoor swimming pool, children's swimming pool, sun loungers and parasols, poolside snack bar, billiards, video games, complimentary Wi-Fi access, 24-hour reception, doctor on call, car hire, taxi service, currency exchange, ironing facilities, luggage storage, and parking. 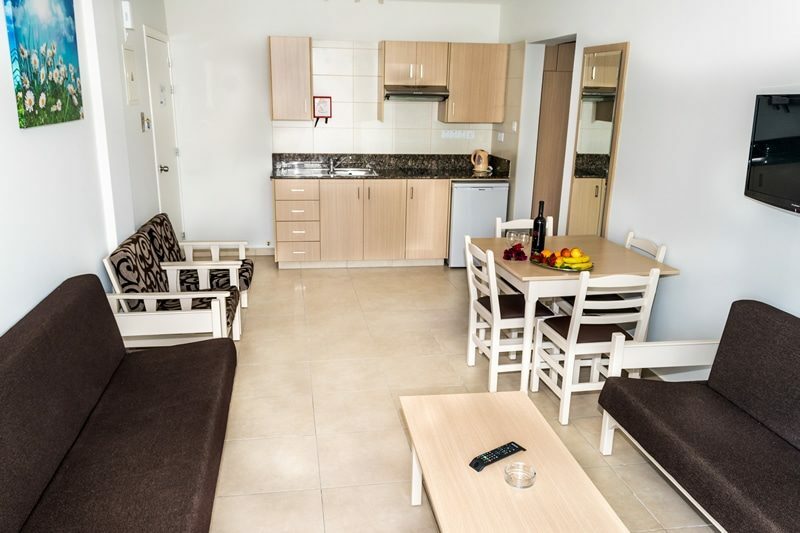 This Ayia Napa hotel has a total of 132 well-equipped guest spaces, comprising Studio, One-Bedroom, and Two-Bedroom Apartments. Studio Apartments feature twin beds, bathroom with bathtub or shower, balcony or terrace, complimentary Wi-Fi access, satellite TV, safe, hairdryer, dining table, and kitchenette with toaster, kettle, and fridge. There is a poolside snack bar which serves a range of international cuisine for breakfast, lunch, and dinner. 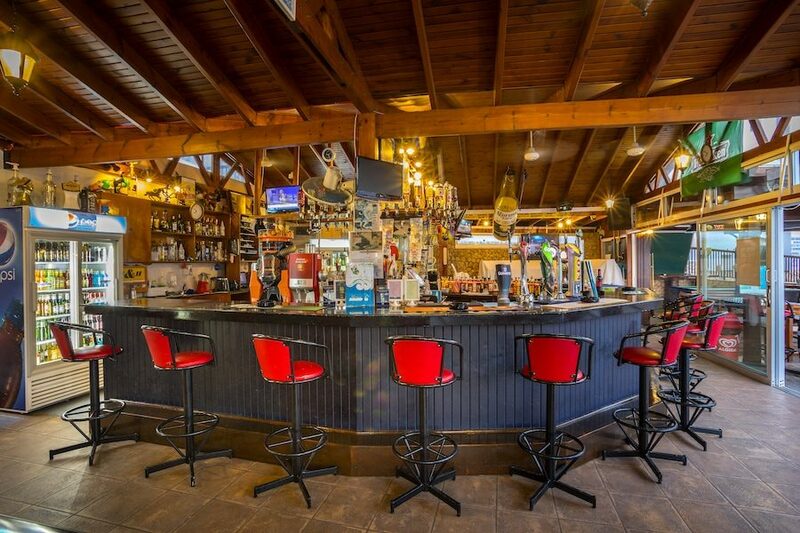 Grab a refreshing cocktail, beer, glass of wine, or soft drink as you relax by the water's edge. Your apartment is also fully-equipped for self-catering when you feel like preparing a light snack or hearty meal.